The Multilocation Spanish Course is designed for students who want to discover different Spanish cities. It will allow you to improve your level of Spanish whilst giving you a taste of what Spain has to offer. You will enjoy fun activities in Malaga and Madrid and have the chance to experience Spanish culture. 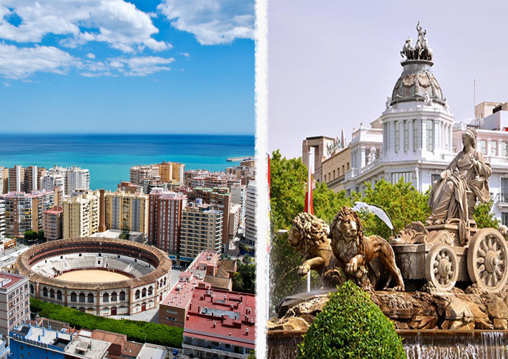 You will explore 2 very different Spanish cities. On the one hand, Malaga is a relaxed and wonderful city bathed in sun that has numerous beaches and magnificent monuments to admire. On the other hand, Madrid is an energetic and vibrant city with lots of marvellous attractions and a stimulating nightlife. We offer 3 different packs with Intensive Spanish classes so you can choose which one suits you the best. You will live in a comfy and well-located shared flat with other international students so your trip will be unforgettable. Get ready to discover the best of Spain! The Multilocation program will help you to improve your Spanish level whilst discovering two big Spanish cities to enjoy Spain to the fullest. 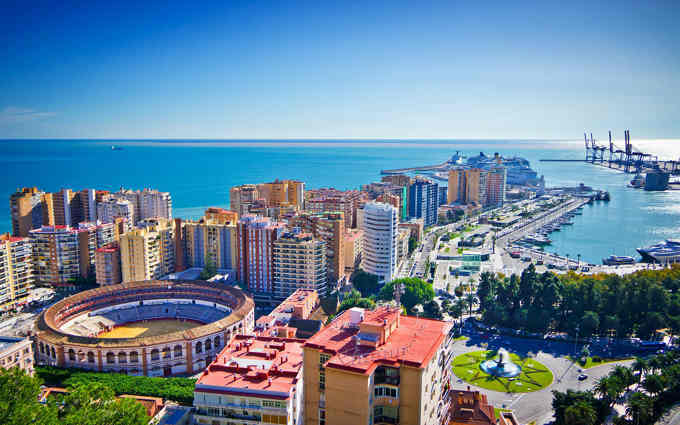 Malaga has recently been declared the Spanish city with the best quality of life. Each year the Costa del Sol welcomes almost 4 million tourists who are attracted by the great weather and the relaxed atmosphere. The city is known internationally for its summers that never end and for having the warmest winters of Europe. The city area of Malaga has around 15 beaches, one of which is only a 5 minute walk from the city centre! Malaga offers a lot of remarklable places to visit such as the Castle of Gibralfaro, the Roman Theatre, the Alcazaba, the Cathedral, the Picasso museum and many others. The city is also appreciated for its gastronomy. Malaga is characterised by typical Mediterranean food that is really delicious and has its own specialities. You will love the Spanish cuisine! 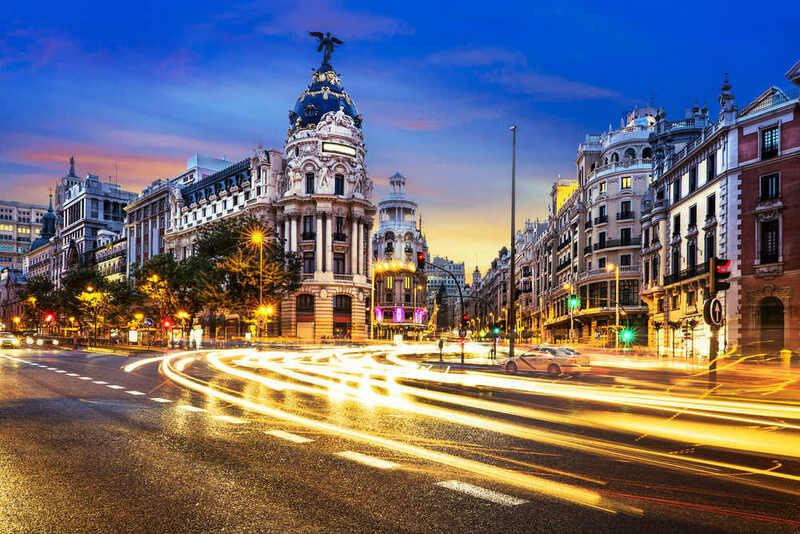 Madrid is a modern and vibrant city which can be defined with one word…‘Cosmopolitan’. The capital of Spain attracts about 9 million tourists each year and has approximately 95,000 foreigners living there. The Spanish capital is the home of some of the biggest events in Spain. The city hosts international music festivals and is visited by the world´s leading pop stars. There is no time to get bored. Finally, Madrid is a perfect destination for art lovers. It has three of the most famous art galleries in the world: the Thyssen-Bornemisza, the Prado and the Reina Sofía museums. Furthermore, you will be able to learn about the history and tradition of bullfighting in the largest bullring of the country. Looking for the same intensive learning style, but prefer to stay in Malaga? Our Intensive Spanish course may be for you.